It's been a bad month for SeaWorld. The third lawsuit in four weeks was filed against SeaWorld on Monday, this time alleging that SeaWorld promotes misleading advertising information about its orca whale treatment. The suit was filed in the Superior Court of the State of California in San Francisco on behalf of two people who visited SeaWorld San Diego. A non-profit conservation organization, the Earth Island Institute, is helping advise. The lawsuit alleges that orca captivity at SeaWorld leads to dorsal fin collapse, shorter life spans and injuries to the whales - and that SeaWorld routinely lies to the public about these realities. SeaWorld's marketing efforts conceal its mistreatment of orcas ... These claims are misleading if not outright lies. Conveyed to purchasers through the website, and disseminated to Plaintiffs and the public at large through promotional materials and emails, SeaWorld's false statements are misleading to reasonable consumers. 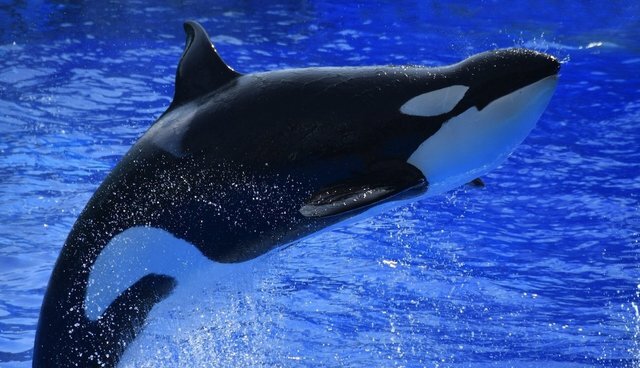 The lawsuit seeks refunds for "all consumers who purchased SeaWorld tickets in reliance on SeaWorld's representations concerning orca welfare," the filing says. "SeaWorld is luring people to buy tickets based on a pack of false and misleading statements, instead of revealing the cruel and unhealthy conditions that captive orcas have to endure," David Phillips, executive director of the International Marine Mammal Project of Earth Island Institute, said in a release. The plaintiffs, Marc Anderson and Ellexa Conway, join the growing ranks of citizens stepping up to call the behemoth entertainment corporation out on its claims. In March, a California grandmother filed a lawsuit claiming that had she not been misled by the park's marketing about the treatment of animals, she wouldn't have brought her grandchildren there. And earlier this month, a South Carolina woman filed a lawsuit that says that the marketing illusion SeaWorld creates "masks the ugly truth about the unhealthy and despairing lives of these whales." In the meantime, SeaWorld is charging ahead with its revamped marketing and commercial campaign, which includes a lot of clueless tweeting. Clearly, allowing people to #AskSeaWorld anything isn't the best idea right now.